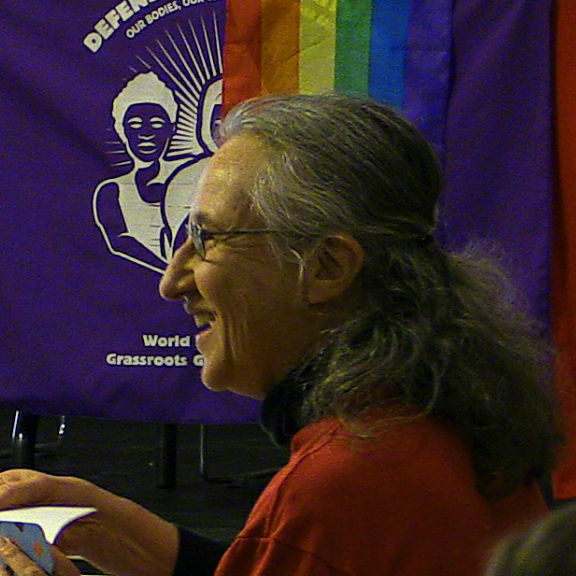 Vermont Workers' Center | Building a Grassroots Movement to Put People First! This OpEd by VWC member Keith Brunner was published on March 15th in the Vermont Digger. On Monday night, the Republicans in Washington revealed their plans for replacing the Affordable Care Act. Unsurprisingly, their plan would hurt poor and working-class people and women while creating billions of dollars of new tax giveaways to corporations and the wealthy. Organizing is the antidote to attacks on the human right to health care. 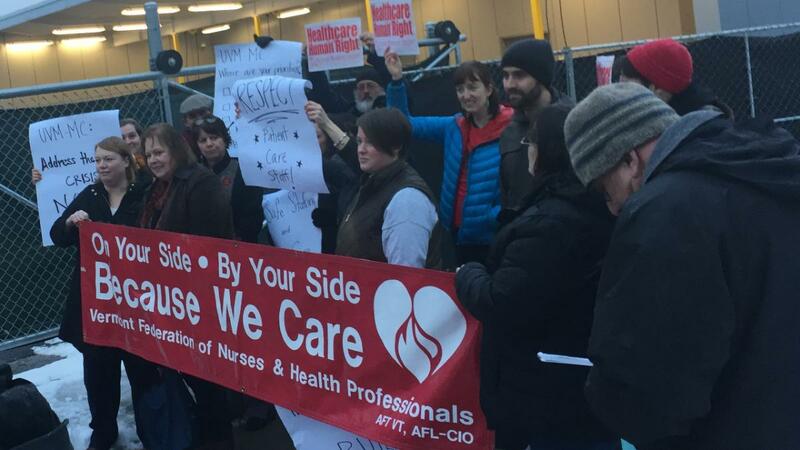 Please consider becoming a member of the Vermont Workers’ Center so we can resist these attacks together, and join us in organizing in our communities and supporting front-line healthcare workers who are organizing for a voice in the healthcare system. 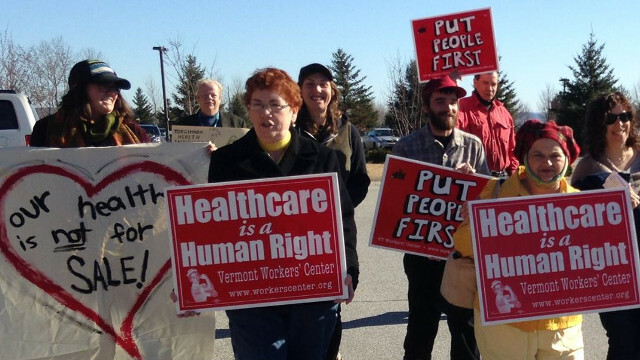 Since 2008, the Healthcare is a Human Right Campaign has been building a movement for a universal, publicly financed healthcare system in which all care in Vermont would be provided as a public good, like our schools and fire departments. We believe that universal healthcare is about more than just our health - it is also a prescription for economic transformation, budget and tax reform, and strengthening the public sector. Over the past two weeks, unprecedented numbers of people, VWC members and leaders among them, have come together to oppose the administration’s anti-human-rights agenda. VWC leaders and members have also been doing the organizing work that will build power for our communities for the long haul. 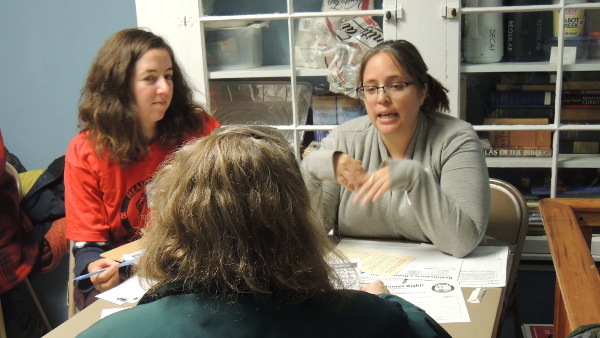 Last weekend, members of the Chittenden County Organizing Committee held a Health Screening Clinic at the Essex Eats Out community dinner in Essex Center. We had some deep conversations with our neighbors about their hopes and fears about healthcare, and nurses volunteered their time to provide health screenings. A couple of the people we met came to the next OC meeting and joined the Workers’ Center! 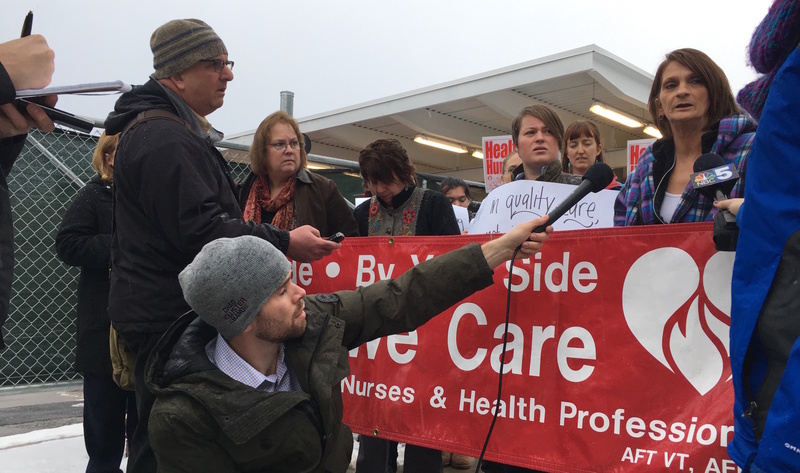 This afternoon, nurses, licensed nursing assistants, mental health techs, labor and delivery assistants, unit secretaries and other patient care professionals at UVM Medical Center (UVMMC) joined together with members of the Vermont Workers Center to call on UVMMC to respect their rights to organize a union. A couple of weeks ago I was canvassing about healthcare in Brattleboro with members of my local Organizing Committee. In home after home we met people who were barely getting by, some of whom were underinsured, others of whom were paying the penalty because they couldn’t afford the premiums on Vt Health Connect. We met folks who rely on the free clinic, which is open only one evening a week. People talked about their work at seasonal jobs, low-wage jobs, and jobs where they feel disrespected because of their low status in the pecking order. We talked with people with disabilities, anxious about what their lives will be like if vital services are cut. This is the current reality, and we are all anticipating major attacks and rollbacks under the new administration. With so much at stake, it is tempting to go on the defensive. While it is certainly crucial to protect hard-fought gains, that is not enough. We cannot let despair cause us to settle for crumbs and rob us of our vision of the world we know is possible: a world in which each one of us is able to live and work in dignity. Among the people I have canvassed, when asked about their hopes, many spoke movingly not only about themselves and their families, but their hopes for their community and the wider world. It is that vision that fuels my commitment to keep organizing. It’s what reminds me that organizing at its best releases our human capacity to care for each other, to attend to each other with love. We need to commit to wielding our campaign to build a stronger and larger base, to building network power with other grassroots organizations. We also need to commit to having each others’ backs and to understanding the pain that so many people are feeling -- including the pain that led many white working-class people to vote for Trump. Yesterday morning, police and military forces raided the National School Florestan Fernandes (ENFF) in Brazil, an agro-ecology school where a Workers’ Center Coordinating Committee member is currently studying, along with other grassroots leaders from the US and around the world. Vermont Workers' Center releases report on "Inequality in Vermont"
Today the Vermont Workers' Center released a new report, entitled Inequality in Vermont, which highlights personal stories of the human rights crisis against the backdrop of growing inequality in our state. 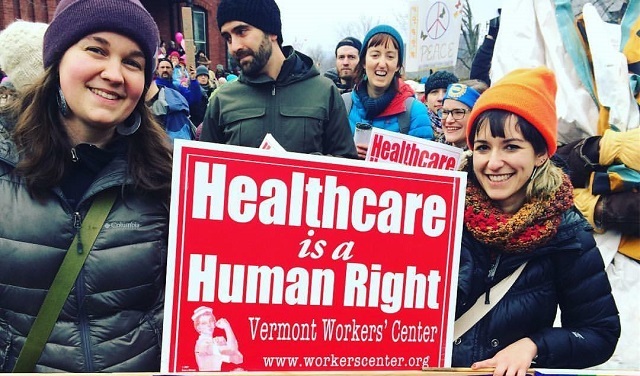 Focusing in particular on health, workplace, and discrimination-related injustices, the report makes a moral case for ensuring economic and social rights for everyone in Vermont through universal, public goods and dignified work. Read more about Vermont Workers' Center releases report on "Inequality in Vermont"
News and photos from 2000 until 2008 can be found on our archives and our photo gallery respectively.